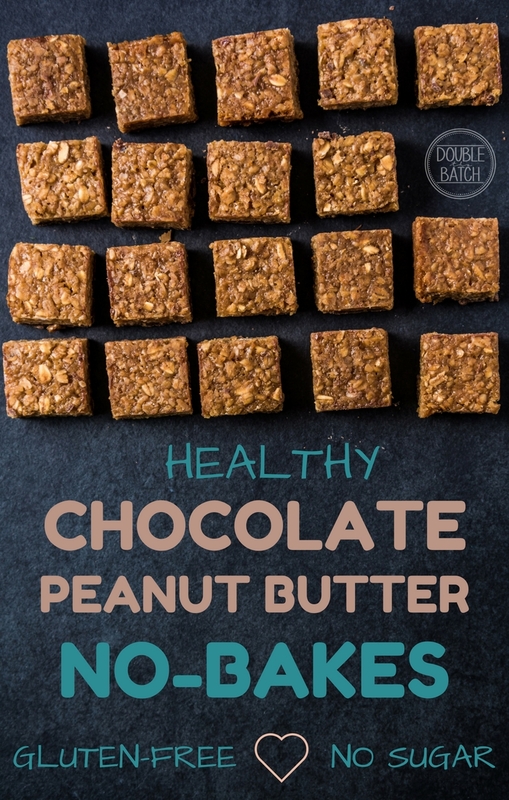 This healthy chocolate peanut butter oat bar recipe was passed down from my grandmother, and they are SO GOOD! “energy bars” is another great name for them. It’s not often that I love the “healthy” version of one of my favorite treats (oatmeal no-bake cookies), but I CRAVE THESE. And I have no guilt eating these chocolate peanut butter oat bars for breakfast because all of the ingredients are AWESOME. Seriously though, make these and give them to your kids as “treats” and you will actually be doing them a huge favor! Instead of butter, we use coconut oil and Instead of sugar we use raw honey. But you would never know. They are jam-packed with flavor and sweetness. In a medium pot, warm over medium heat: honey, coconut oil, honey and peanut butter. Stir continuously until mixture is melted and mixed evenly. Remove from heat and stir in the vanilla. Hope you enjoy this Chocolate Peanut Butter Oat Bar Recipe as much as our family does. They are awesome for satisfying a sweet tooth, and the protein makes for a great post-workout snack. I love adding hemp hearts to mine!